The Coffee you have been dreaming about! Coffee lovers from around the world adore Costa Rica Coffee and its rich, delicious blends. 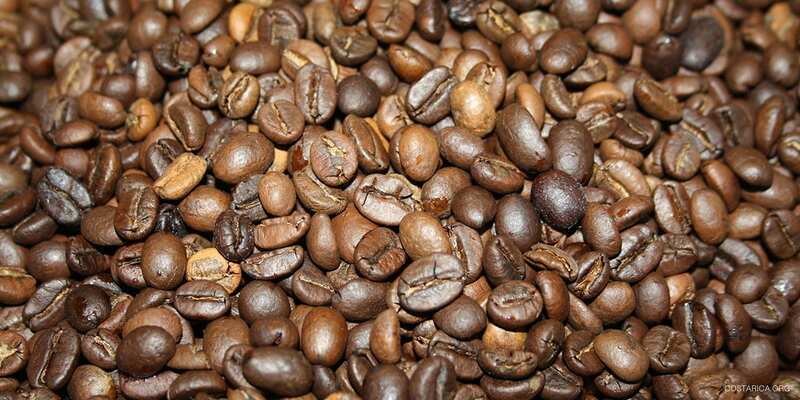 The coffee has often been labeled the best in Central America and even the world. The coffee bean has played a significant role in the country’s history. Visitors can discover the heritage and traditions of this cherished beverage on one of many popular coffee tours. You’ll explore scenic coffee plantations, smell the heavenly scent of roasted beans, learn about the whole process from the growing of the crop to that steaming cup of coffee. The best part? You will have plenty of opportunities to test the flavor of the fine, Costa Rica roast. The most iconic tours take place in the Central Valley region where most of the coffee industry is located. This is mainly due to the use of altitude in the coffee growing process. This dark roast is the perfect souvenir to take home with you as well as a very thoughtful gift for your friends and family back home. Here are some of the best coffee tours and most iconic coffee farms in Costa Rica! The Café Britt coffee tour is one of the best coffee tours in Costa Rica that offers a hands-on experience that even kids enjoy. Located in the cold Barva mountain region in Heredia, the tour features a terrific theater performance. It encourages audience participation and introduces all the facts of coffee in Costa Rica and coffee production – from the bean to your cup. Café Britt is one of Costa Rica’s biggest exporters of gourmet coffee. They sell many delicious varieties including organic, shade-grown roasts in the onsite store. The use of shade trees is very popular custom and is said to enhance the flavor greatly. The tours last around two hours and packages usually include round trip transport to your hotel. The Doka Estate produces some of the country’s most flavorful coffee. The Estate is located on the slopes of the Poas Volcano and provides wonderful tours that are both educational and entertaining. Volcanic slopes are amongst some of the best coffee growing regions due to the altitude and the fertility of the soils. Since 1908, Doka has been a family of coffee producers. Its old water mill has been designated as a cultural heritage site by the local government. You’ll learn all about the farm’s award-winning Arabica coffee and get a chance to sample from eight different blends all varying in flavor, richness and acidity levels. For example, their espresso and peaberry roasts are delightful and come highly recommended. The farm’s most famous tour is known as the Breakfast Blend excursion and includes breakfast and transport from the San Jose area. Just south of Cartago in the cool highland region of Santa Maria de Dota, you can find Costa Rica’s first carbon neutral coffee producer passionate about reducing our carbon footprint. Blessed with fertile, volcanic soil, these growing regions yields some of the world’s top quality coffee, perhaps none more famous than the Dota Tarrazu blend. The Coopedota coffee cooperative encompasses some 800 local coffee farmers, and tours to the farm are a wonderful way to support their eco-conscious efforts and production of the ‘green coffee beans’. Booking a tour during their harvest season (November – March), is especially fun, as you can help farmers pick the vibrant red coffee cherries. Tours are available daily and advance reservations are recommended. Forget your automatic coffee maker! One of the best – and easiest – ways to enjoy your Costa Rica coffee is with a chorreador. Also referred to as a “coffee sock,” a chorreador is the traditional Tico way for making a quick cup (or three) of robusta Java. They are sold in gift shops and grocery stores throughout the country and are nothing more than a piece of wood that supports a fine, mesh filter. Simply place your coffee in the mesh sock in the Chorreador and pour the boiling water over the grounds for the perfect cup. Some of the more decorative chorreadors make fantastic souvenirs. We hope we can help you find your way to the best coffee tours in Costa Rica! Experience only the best foods and drinks in the country. The Costa Rica experience certainly would not be complete with out a famed cup of Coffee. You may want to try out some other delicacies as well. It can be so hard to decide when you’re hungry so here is a guide to help you.